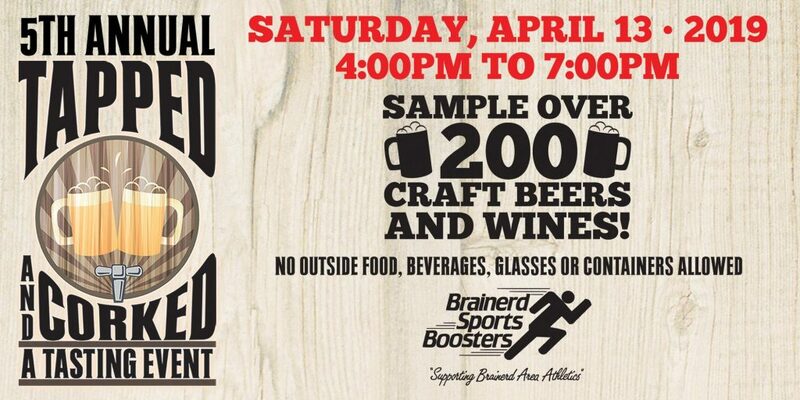 All proceeds help benefit athletics in the Brainerd area. You must be at least 21 years old to attend. A picture ID with proof of age will be required. A commemorative glass will be provided to each attendee. No other glasses or containers will be allowed into the event. Printed or electronic tickets will be accepted. Is it okay if the name on my ticket or registration doesn’t match the person who attends?